Beautiful home with 3 bedrooms, 2 bathrooms, master is a very large bedroom. Open kitchen with breakfast counter, big livingroom. Steel covered carport 20x20. Corner lot with palm trees. 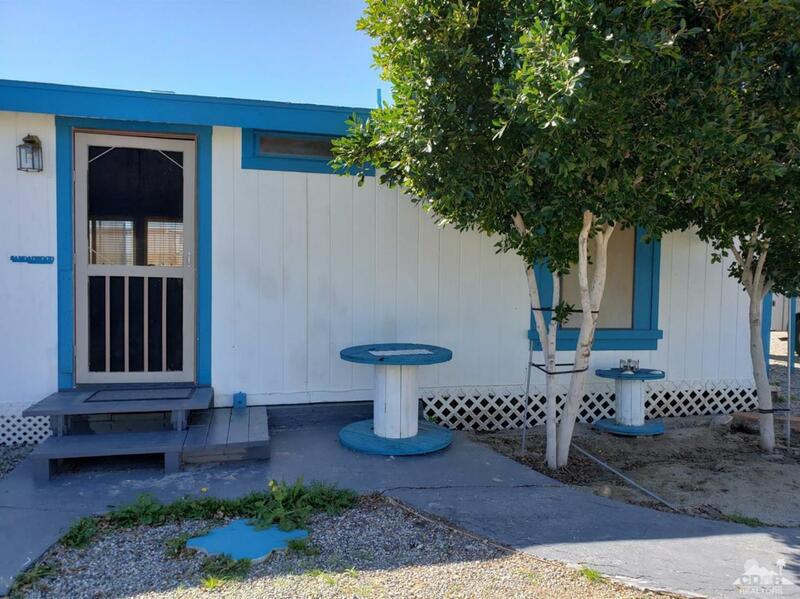 Property is on permanent foundation 433A per seller, two RV gates, storage sheds. Listing provided courtesy of Adelaida Gutierrez-Franco of My Desert Realty, Inc..